I thought I’d end this Wednesday on what I want, as these few fashion bits are calling my name RN! 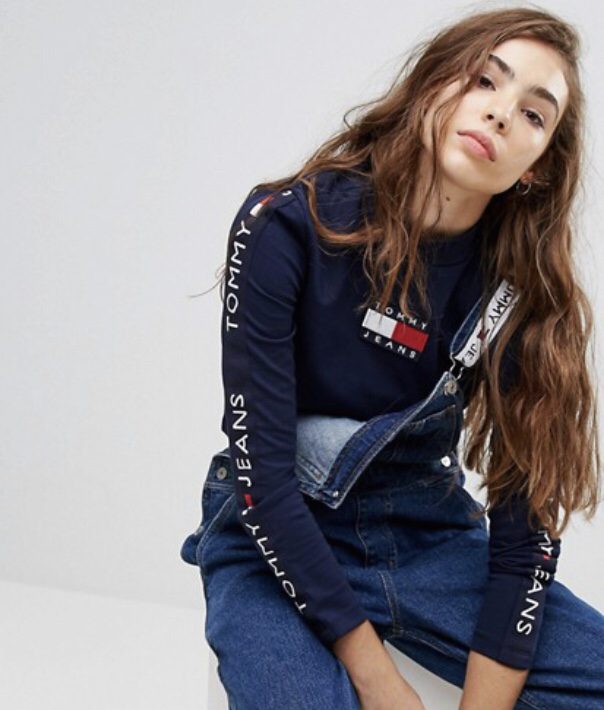 Tommy Hilfiger Jeans 90s Capsule Logo Knit Jumper, £60. Shop Here. This jumper is such a classic that it needs to be mine! Needs, yes that’s right, NEEDS! I mean who hasn’t been a Tommy girl for life?! 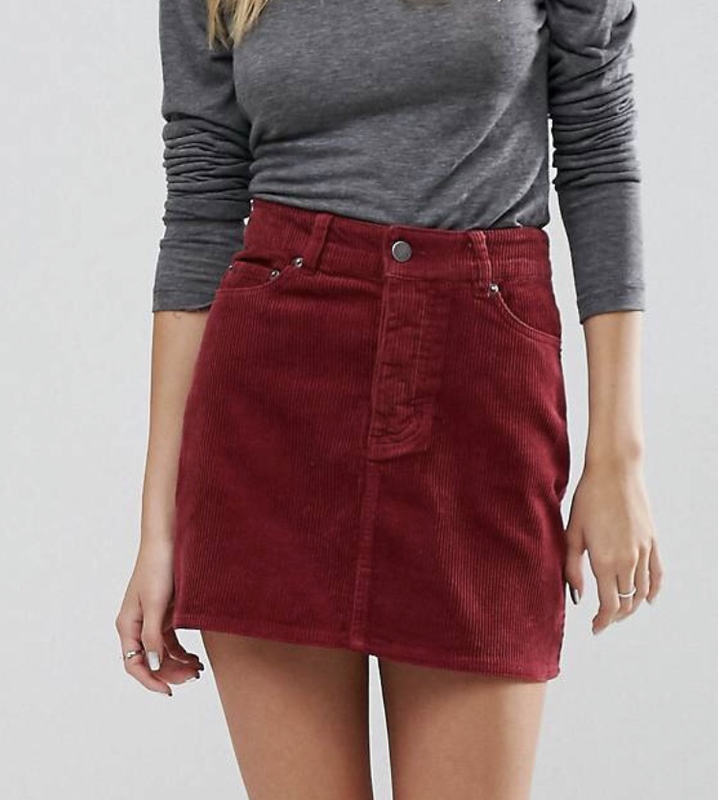 ASOS Cord Pelmet Skirt in Berry, £30. Shops HERE. This skirt is the perfect colour for autumn winter and the fact that it’s cord is just everythiiiing. With tights and boots or a bare leg, this will see me right through the season! Pretty Little Thing Constrat Edge Tie-Sleeve Jumper, £25. Shop HERE. I mean this jumper tucked into the cord skirt above is just PERFECT for looking cute this season! Love love love the contrasting black and the tie, fluted sleeves. ASOS Cord Jacket with Borg Collar in Stone, £45. Shop HERE. 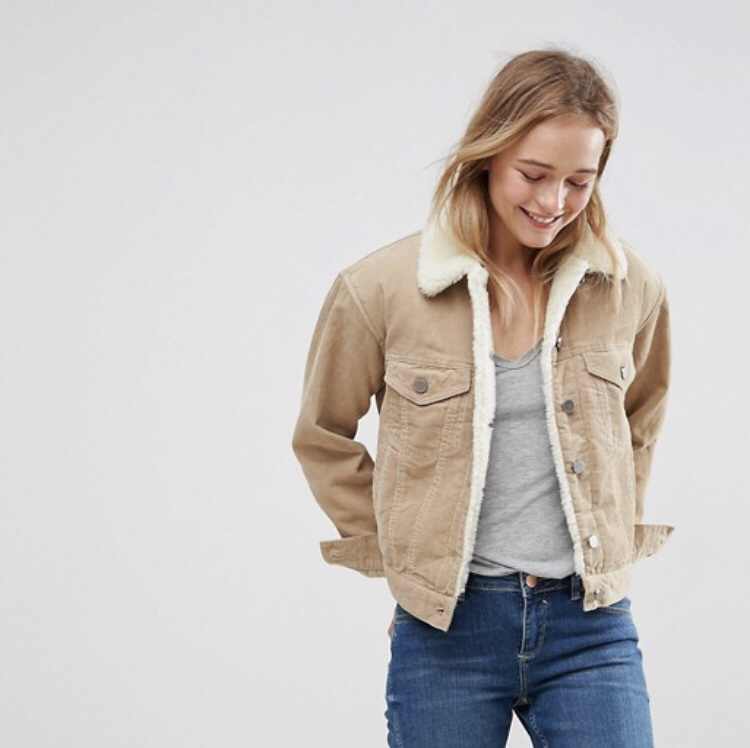 This jacket is SO dreamy I can’t even deal! The colour makes is so versatile, that it could be worn with literally anythingggg! That Borg lining too makes me wants to cuddle up in it already! 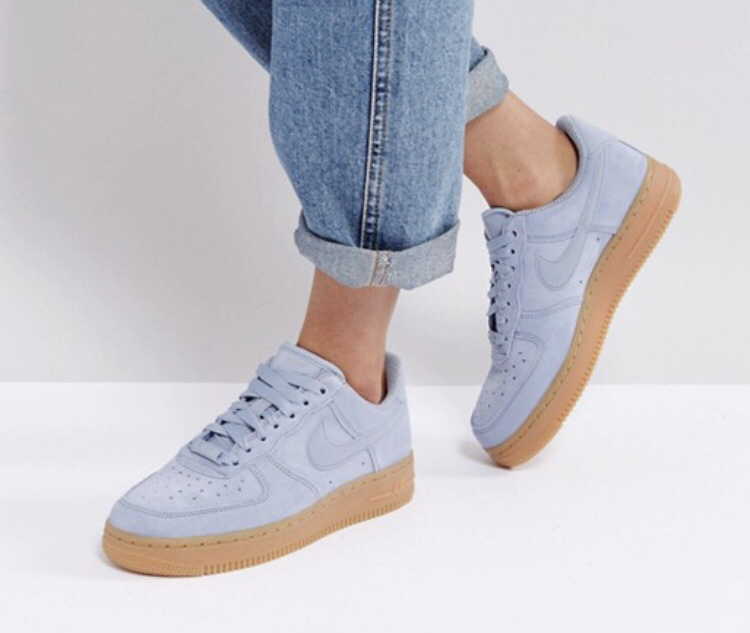 Nike Air Force 1 ‘07 trainers in Glacier Blue, £75.00. Shop HERE. Oh. My. Gosh. I have no words. Other than: THESE NEED TO BE MINE. 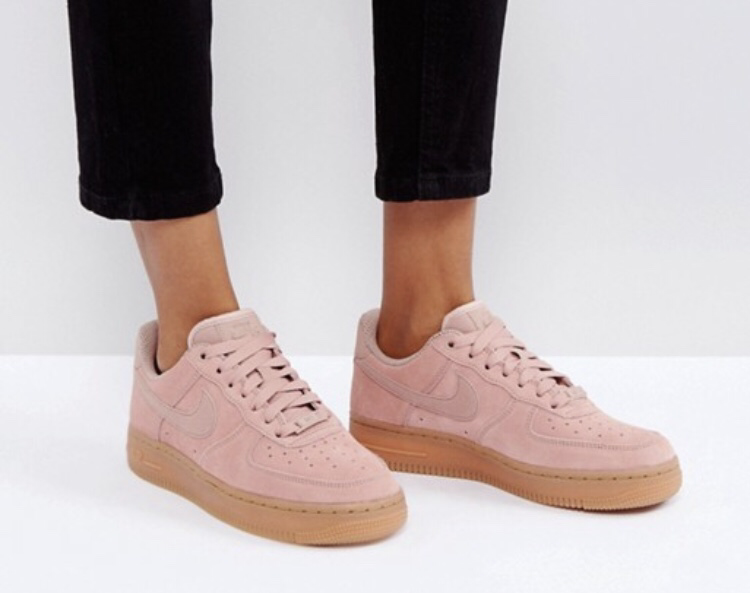 Oh and CAN I HAVE THEM IN PINK TOO, please?! Next How to: Look HOT this Halloween! I love that skirt! Such a beautiful color.